Well BitCoins seems to be a big mystery to everyone, even to me, how did it originate, how did it gain such a popularity… Hello I am not fooling; well here is something to talk of its magnitude say for example if I invested about just $100 in October 2010 and sold those Bitcoins in October 2013 I would make about $11000000 in just 3 years. CLOSE YOUR MOUTH NOW.. IF YOU think you are accessing the whole internet through browsers such as Chrome, IE, Opera, Linx and Firefox, you are completely wrong, well u don’t even come close to something geeky…. These surface browsers only give you access to four per cent of the actual internet, yes I have not cut my tounge thats 4% of entire web. Then where is the rest; its a hidden mass of content, known as the Deep Web. Although the Deep Web and anonymous browsing through TOR has been around for a while, it has recently come to the attention of the mainstream due to shows such as Netflix’s House of Cards. So what is this mysterious Deep Web? You only access 4 per cent of the internet. 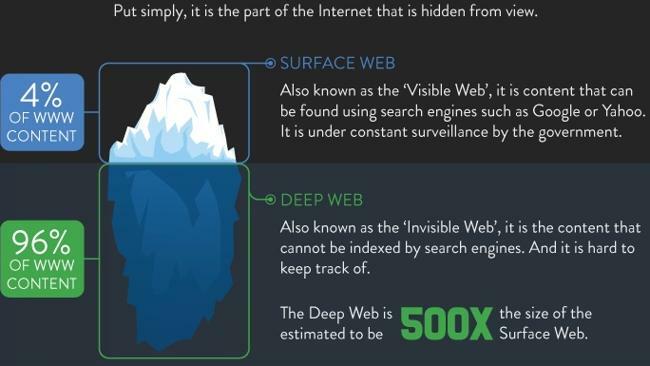 Source: SuppliedIt’s called the “Deep Web” because it is, well, deep and contains all of the websites and data that you can’t access through a regular search engine. The Deep Web itself makes up nearly 96 per cent of the world’s internet content and is totally anonymous. In fact, you can’t even access the deep web unless you are also anonymous. Which begs the question — how do you enter the deep web? 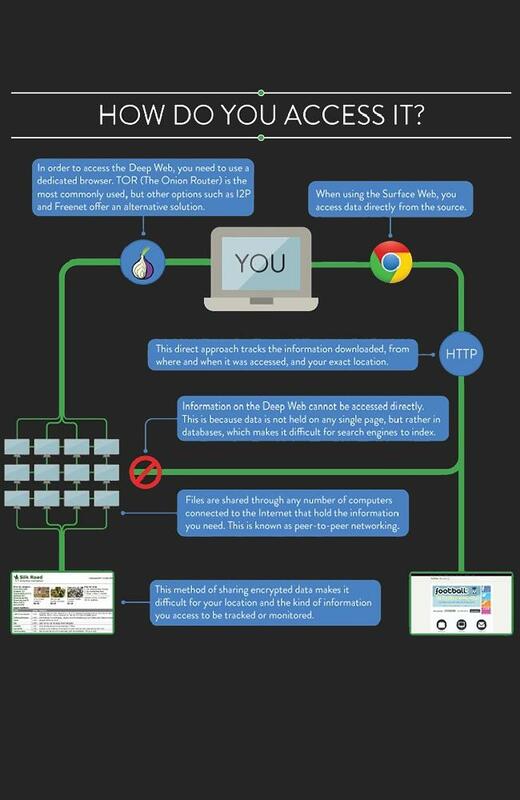 You need a special browser to access the Deep Web. Source: SuppliedYou need to use a special type of anonymous browser, the most commonly used being TOR (The Onion Router). These browsers can find information not available through surface browsers – such as pages not linked to other pages, sites that require registration and limited access content.After the NSA spying scandal, concerns have been growing over internet privacy. This has led people to flock to TOR for its ability to let users browse the web in true anonymity. Criminal activity takes place in the deep. Source: SuppliedSo what about the legality of it all, you ask? 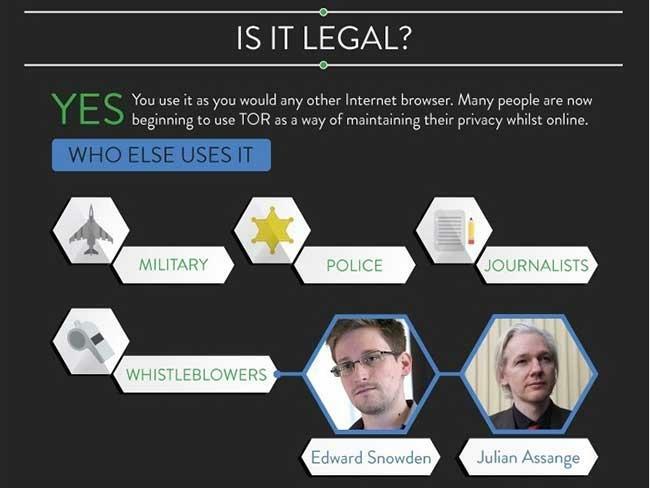 It’s completely legal for you to use it and to hide your identity when browsing the internet. However, because of this anonymity the Deep Web has become a haven for all types of dodgy people like drug dealers, weapons dealers and even hit men looking for work.It is also a breeding ground for illegal activity. 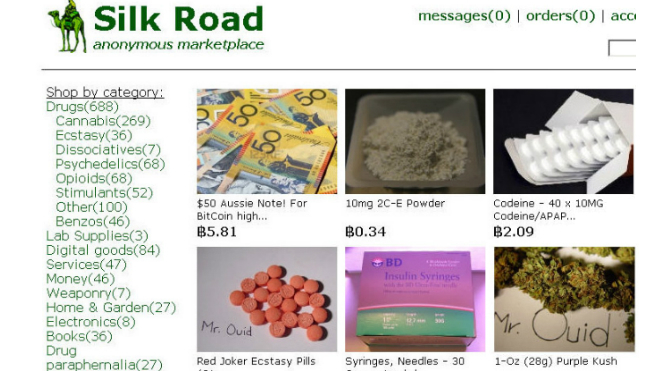 The online drugstore Silk Road famously got raided and taken down by the FBI last year with millions of dollars worth of Bitcoins being lost and its creator facing heavy prison time. But, like with anything in this dark world, it didn’t take long for a second Silk Road to open. A month ago, though, this new drugstore had $2.7 million stolen by a hacker. You may be wondering how one stays anonymous when bank accounts become involved, and this is where Bitcoin comes into play. Bitcoin is a virtual currency that is encrypted and allows people to make transactions anonymously. 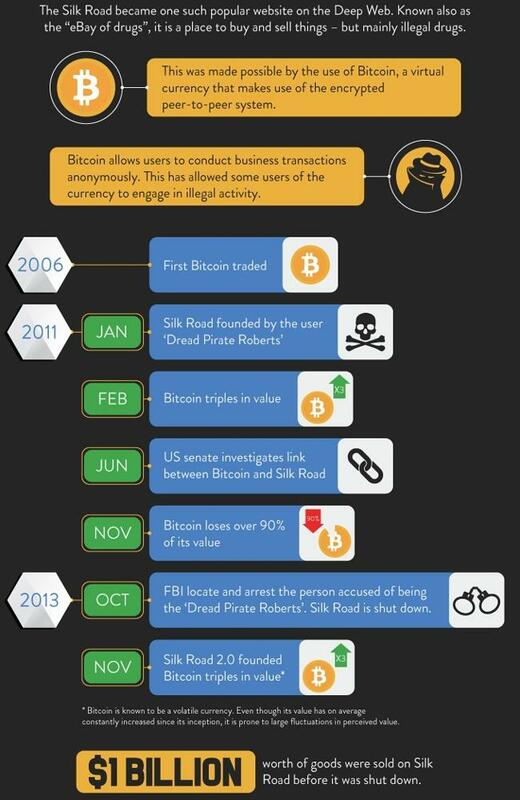 The currency has mainly been used for less than legal transactions to hide a person’s identity, particularly on Silk Road. The value of Bitcoin has been soaring and many people have taken to investing in the virtual currency despite its volatile nature.